Houston, TX – Clovis Point Capital (“Clovis Point”) today announced a majority growth investment in Cirrus Insight, Inc. (“Cirrus Insight” or the “Company”). Cirrus Insight is a SaaS-based provider of comprehensive sales enablement solutions with offices in Irvine, CA and Knoxville, TN. Clovis Point Capital is a Houston-based growth equity firm focused exclusively on emerging enterprise software and tech-enabled business services companies. Founded in 2011, Cirrus Insight sales enablement platform for Gmail and Outlook offers an all-in-one sales productivity platform to over 4,500 customers and more than 250,000 individual users worldwide. Led by Co-Founders Ryan Huff and Brandon Bruce, Cirrus Insight utilizes its world-class Salesforce integration to enable salespeople. The leader in managing sales processes right from your inbox, Cirrus Insight has been on the Inc. 5000 list for three consecutive years. Recognized as a leader in Sales Engagement by G2Crowd, Cirrus Insight was an early innovator, bringing advanced email integration and automation to the inbox of every salesperson. By streamlining the sales process and integrating the sales workflow directly into the inbox, Cirrus Insight helps our customers schedule more appointments, sync mission-critical data and close more deals. “Providing sales professionals with tools that help them achieve their objectives in a more timely and efficient matter has always been our goal. Partnering with Clovis Point will allow us to expand Cirrus Insight’s features to deliver more value to our customers,” said Ryan Huff, CEO, and Co-founder of Cirrus Insight. 250,000 professionals use Cirrus Insight to increase productivity in Gmail and Outlook. From Fortune 500 companies and freelancers, sales professionals use Cirrus Insight for email tracking, email templates, drip campaigns, follow up reminders, meeting scheduling, and world-class Salesforce integration. Cirrus Insight has been on the Inc.5000 list of fastest-growing companies for three consecutive years. For more information, please visit www.cirrusinsight.com. 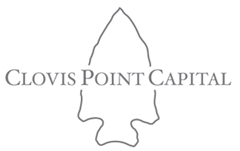 Clovis Point is a Houston, TX-based lower middle-market private equity fund focused on enterprise software and technology-enabled business services companies. Clovis Point is a relationship-based investor, utilizing its experience and expertise to help companies realize their full potential. For more information, please visit www.cpcap.com.